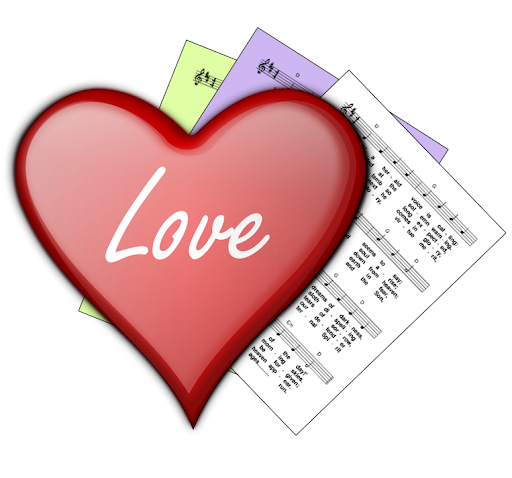 A selection of free-to-use (ie public domain or copyright-free) hymns and song suggestions for Valentines Day church services. Saint Valentine is in the Catholic Church's official list of saints but does not have a feast day in the general Catholic liturgical calendar. Some local calendars of still include his feast day, and the Roman Rite Tridentine Calendar had a feast day for him until 1969. And some other Christian Churches, eg parts of the Anglican Communion, do celebrate February 14 as St. Valentine's Day, but may or may not have set scriptural readings associated with the day. However popular culture in the Western world celebrates (Saint) Valentines Day on 14 February as a time for recognizing love, romance and devotion, and some local churches hold ceremonies for married couples to recognize and affirm their love and commitment. The hymn suggestions below are based on these general ideas, rather than a specific set of readings or liturgy. Love - of God and self / neighbour. Commitment. Thankfulness.